First video from the Hydralab+ Virtual Learning Community now available on our Youtube channel (click here). 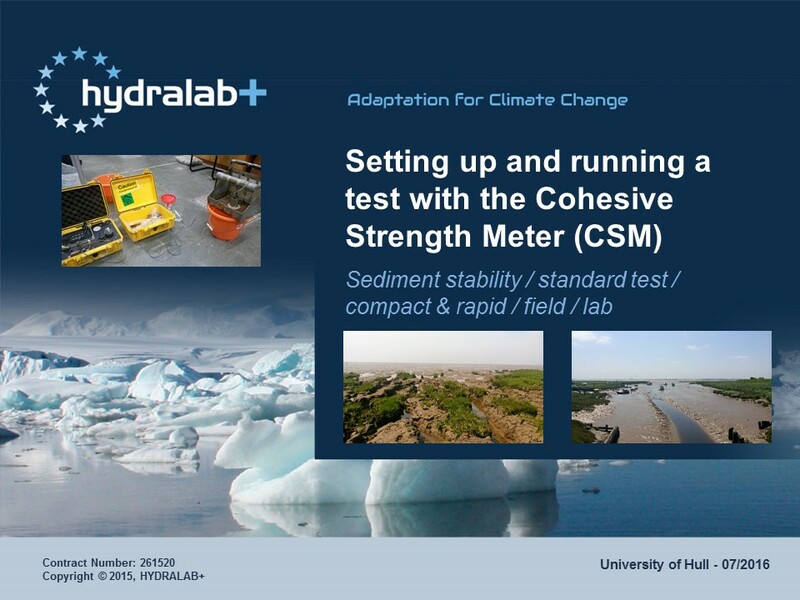 The video focusses on setting up and running tests with the Cohesive Strength Meter (CSM), a compact and versatile device that allows for rapid repeat measurement of sediment stability in the field and laboratory. More videos on new technologies, good practice in experimentation, instrumentation and data analysis in the physical modelling community will be made available as the Hydralab+ project progresses.